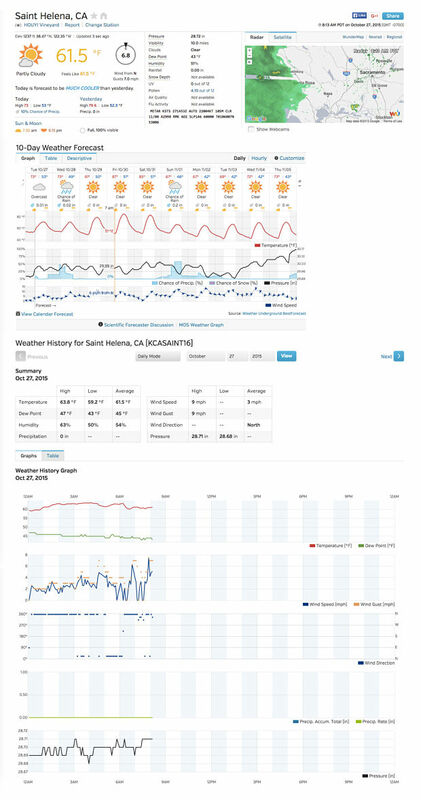 Weather Underground connects a worldwide network of “weather enthusiasts” who report live data from personal weather stations. 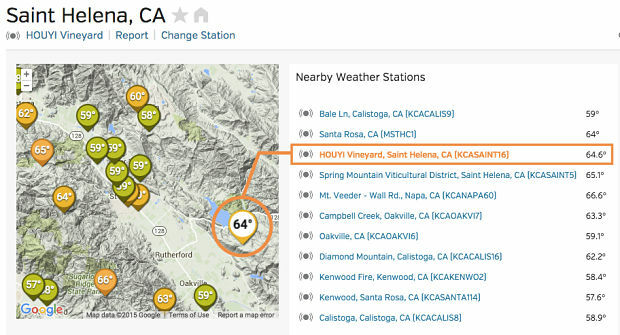 For your viewing enjoyment, our weather station is now up at HOUYI Vineyard in St. Helena, CA. Note the temperature variation between Hillside – where we are located – and Valley Floor. Below – a sample of our data stream.